You loved the house so much, you made an offer—a good one. Yet for some unfathomable reason, it was rejected. What gives? While home sellers don’t have to explain why they pass up what seems like a perfectly fine offer, trust us, they do have their reasons—and it’s not always just because a higher bidder came along. Sometimes, sorry to say, it really is you. Worried you might be doing or saying something that’s making home sellers steer clear? 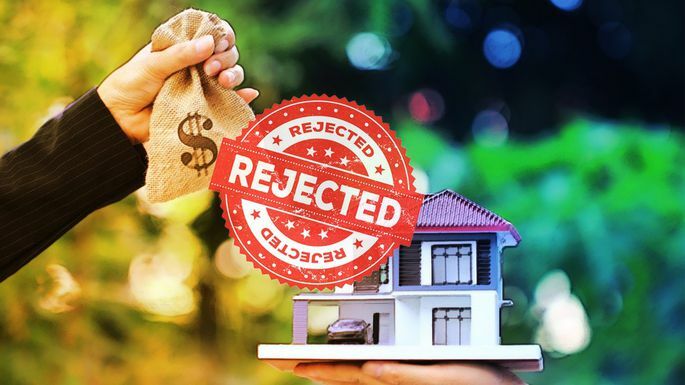 Check out these stories from real-life home sellers and their real estate agents on what prompted them to pass up an offer. Consider this a list of what not to do when you really want a house. Take-home lesson: There are many agents who swear by the power of a heartfelt offer letter, but make sure that you don’t in any way insult the sellers or their taste. And, apparently the grammar police are out there—you’ve been warned! Take-home lesson: A higher offer isn’t always better, since lenders will only loan you as much as the house is appraised for—not a cent more. A solid, realistic offer is a much better move—or, if you do bid high, make sure you’re willing to cover the difference out of your own pocket. Take-home lesson: Often a real estate agent and seller feel more comfortable with a local lender they know. Do your research and choose the loan that’s right for you, but consider giving preference to a well-regarded local mortgage lender when possible. Take-home lesson: If you swooned over not just the house, but also something in it, go ahead and request to include it in the deal. However, if it’s something the sellers want to take, let it go. It’s not worth losing the whole house in your bid for a pretty light fixture. Take-home lesson: While sellers love to see full-price offers, don’t try to Scrooge them out of that money elsewhere—they will see right through it. Take-home lesson: Playing games or withholding routine information can make the seller doubt you and your intentions. Take-home lesson: The last thing a seller wants is to get ready to close, only to discover that the buyer cannot complete the transaction and thus send them back to the drawing board. Make sure you’ve cleaned up your credit and have your finances in order before making an offer.